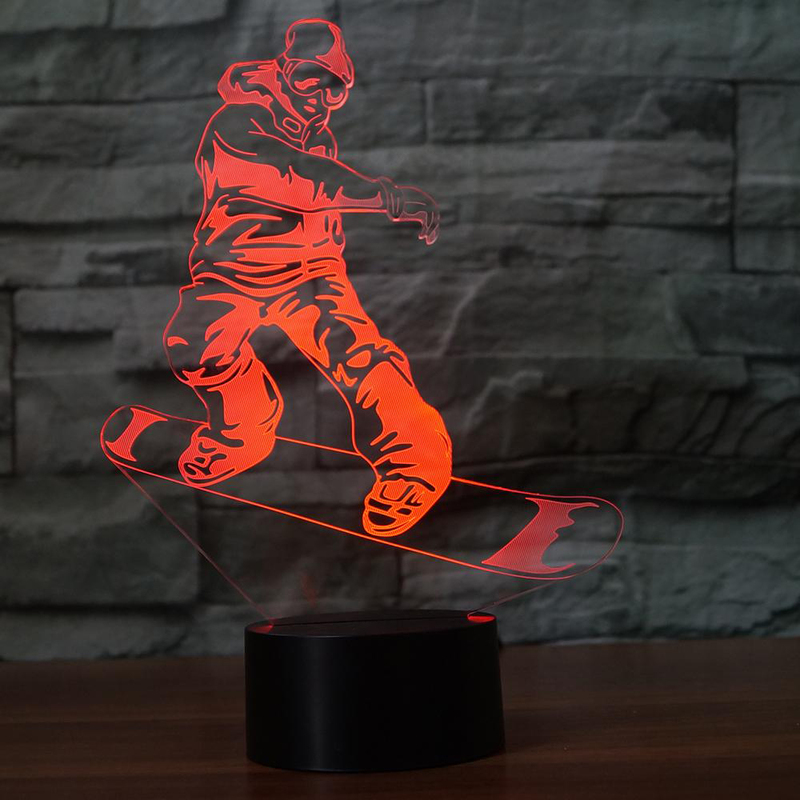 Unbelievable, only use a 2D acrylic piece to create a attractive 3D stereoscopic visual pattern and lighting effects, seems vivid and full of personality, good illumination effect and full of creativity. 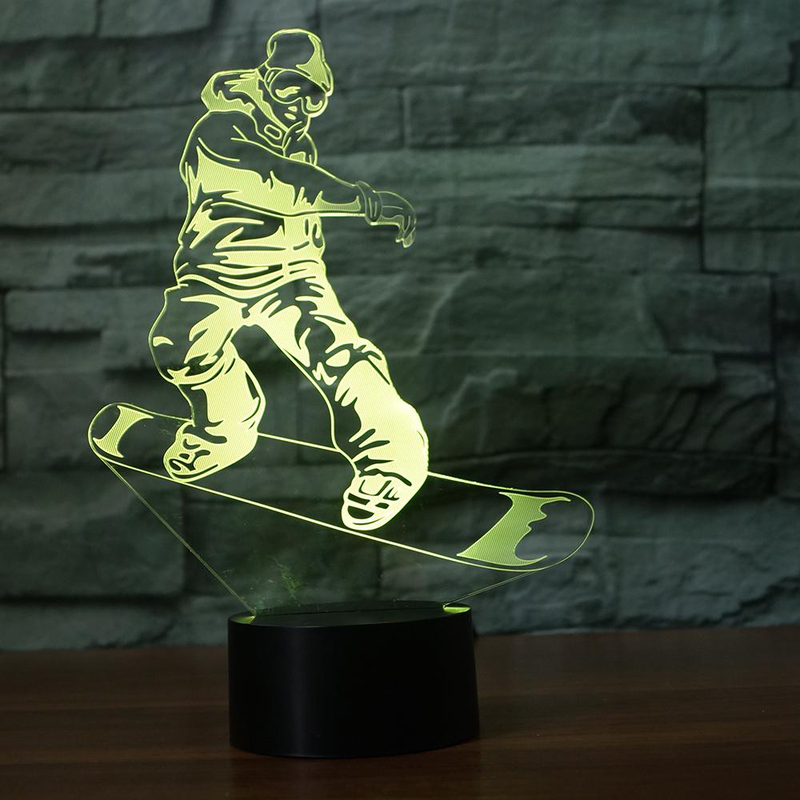 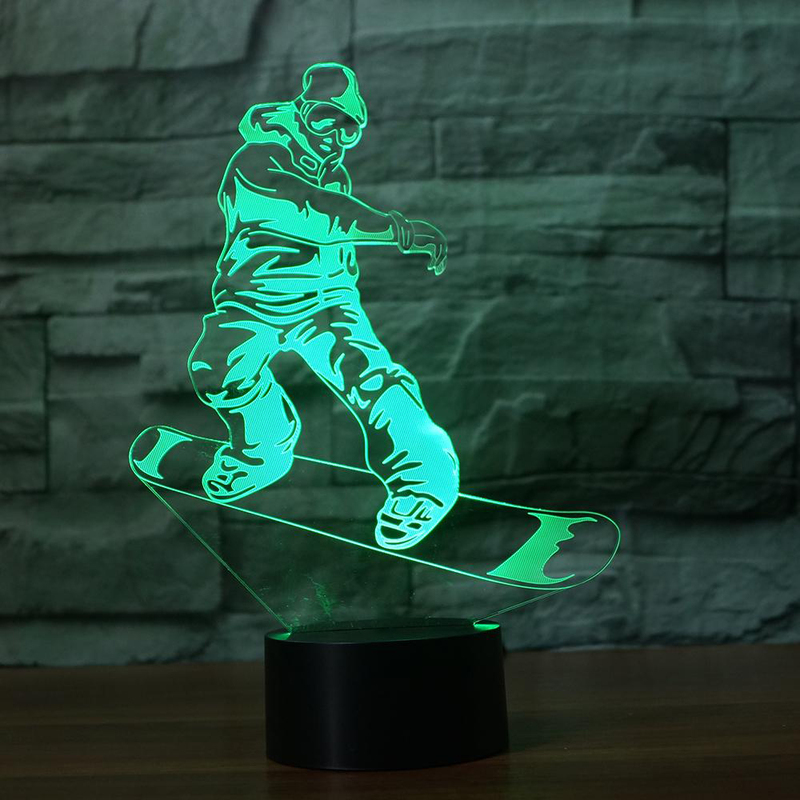 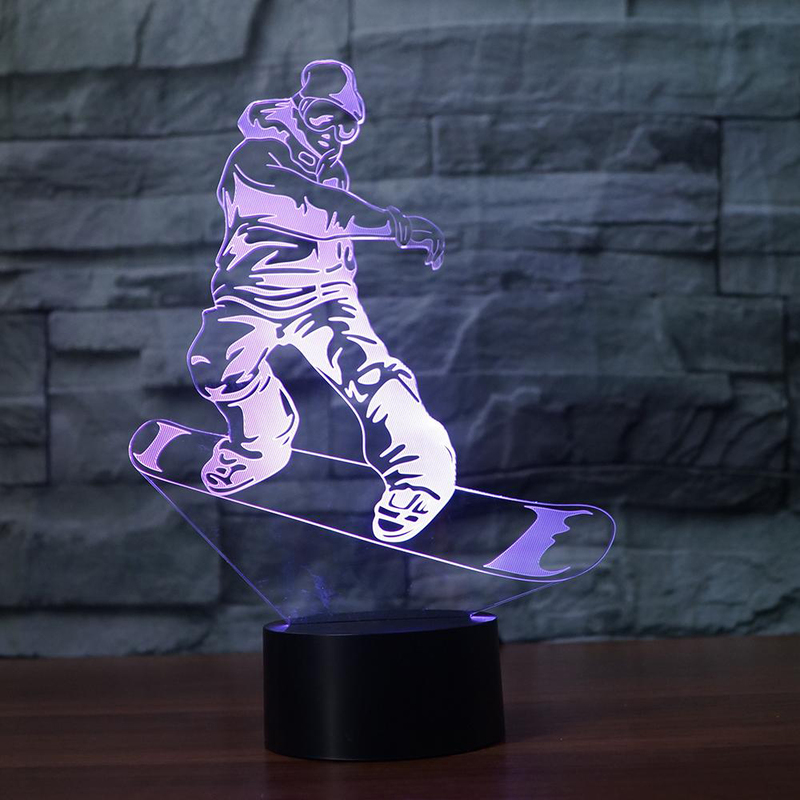 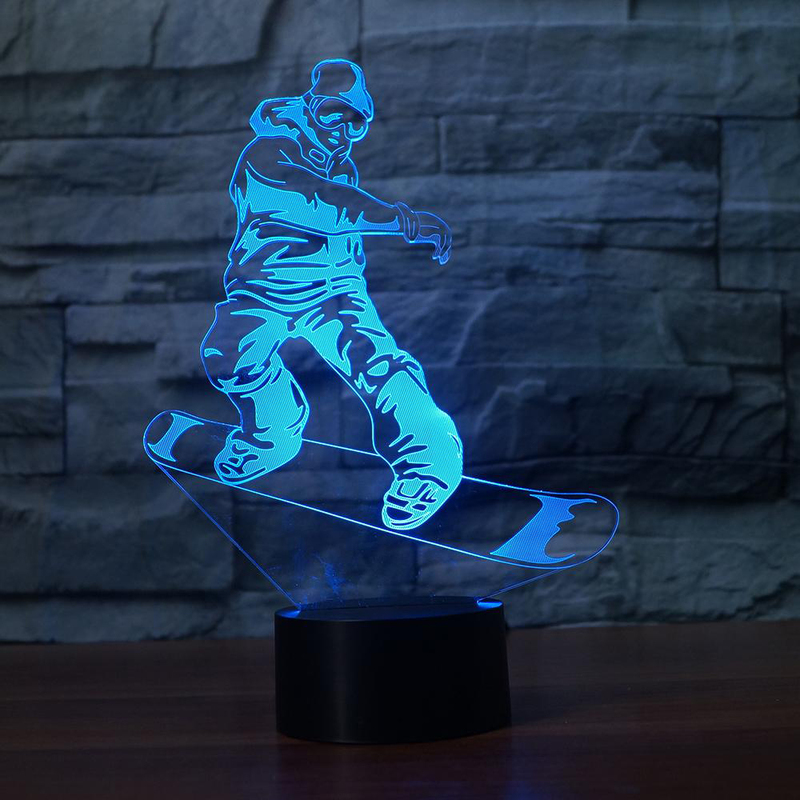 Laser engraving acrylic piece only 5mm thickness, but deliver magical 3D illumination, convenient and useful, easy to use. 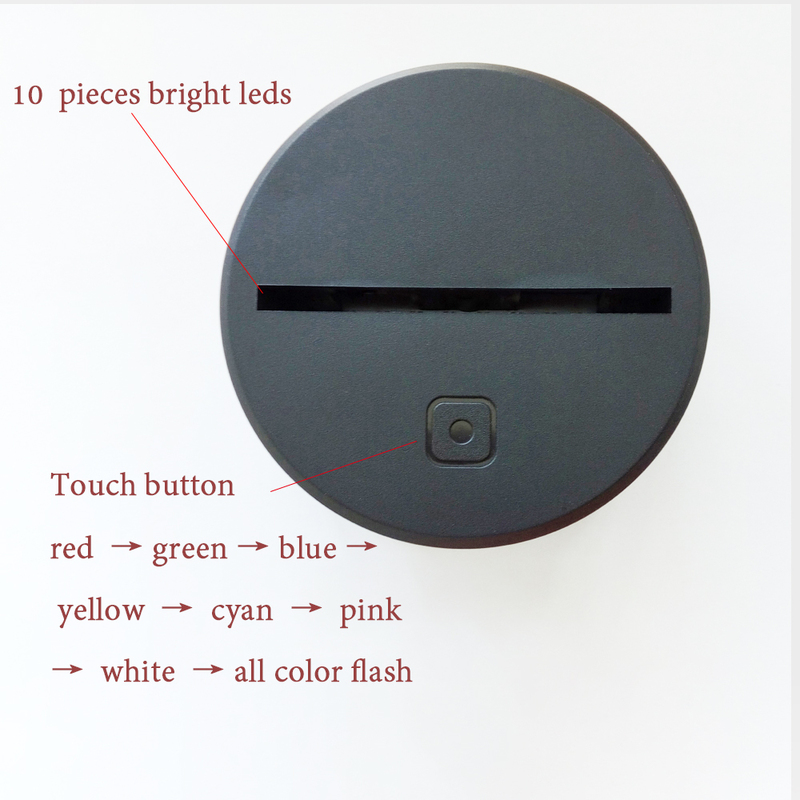 Not only 3D stereoscopic illumination, but also show your colorful lighting effect, button switch to control the lighting color, seven colors and one gradient color for you to choose just press the button switch on the ABS base.